I have had the honour of working with Amanda on a number of occasions before, having photographed her horse Whitney and also photographing Amanda and Myles’ wedding day. 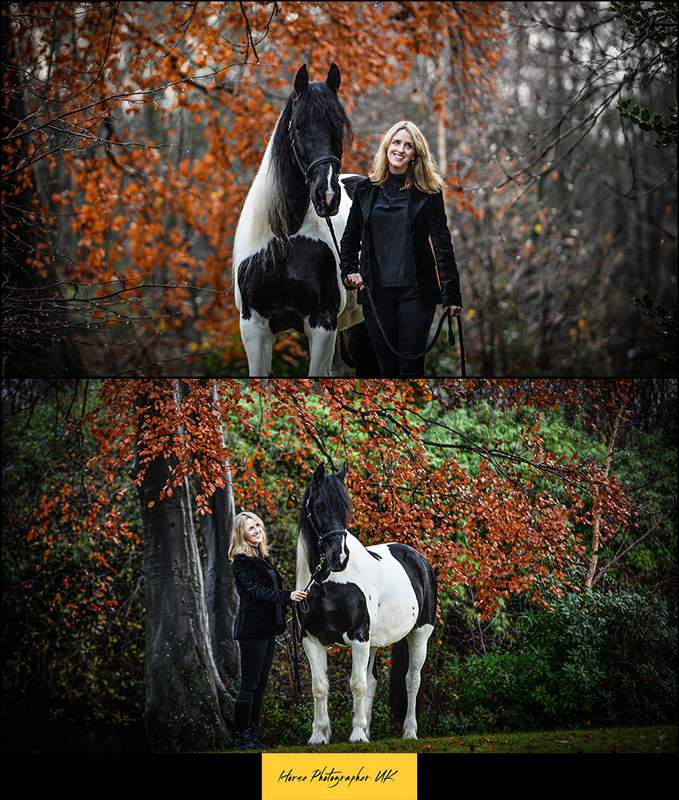 I’ve also photographed Amanda’s sister, Karen and her horses. 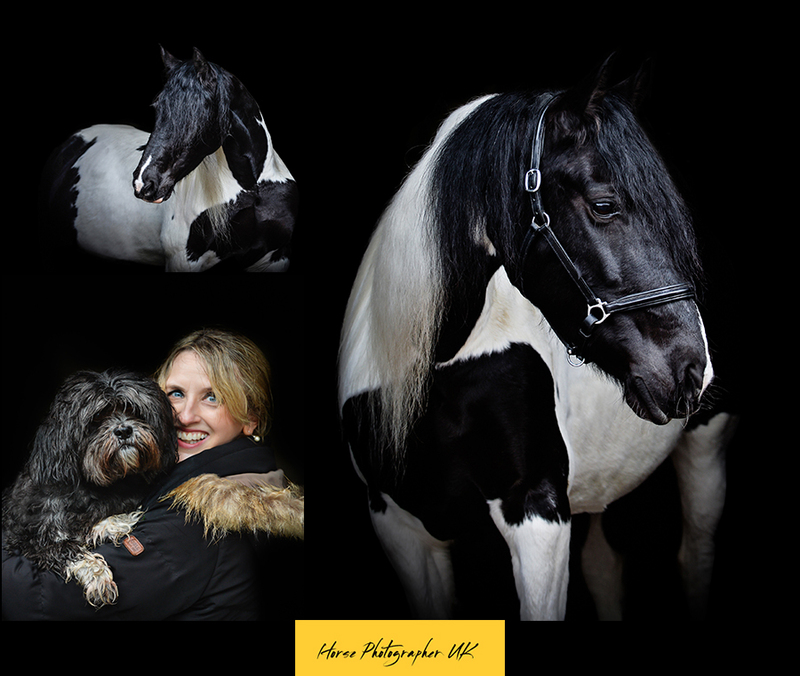 Karen has also booked another photo shoot with her new horse in April. 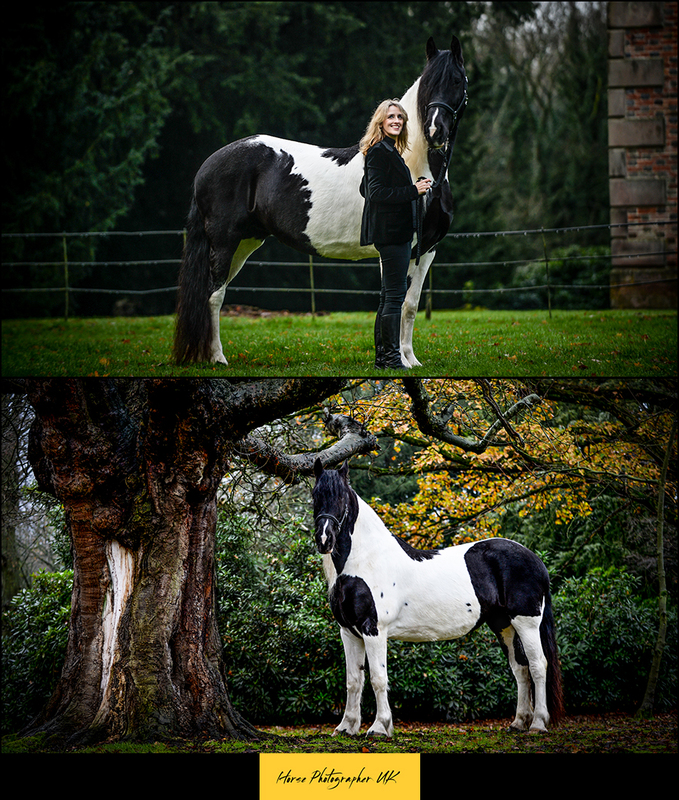 For Amanda’s shoot we went to Somerford Park where I met Sara, a gorgeous Fresian Cross. It was a cold November day, but we were blessed with the Autumnal colours that still lingered. Unfortunately, it did rain a bit but we made the most of it and created some lovely moody, drizzly images. Amanda had also brought along her dog, Mila so we got some shots of these 2 together also. Amanda chose to have casual outfits on this occasion. Here are a few of the images….